We have all abandoned a basket at some point during the checkout process. And undoubtedly there will be lots of reasons why this will have occurred. As a business, simply ignoring shopping cart abandonment is not the smartest move. There is a way that can help online brands reduce or reactivate abandoned baskets using automated email marketing campaigns to remind and entice the subscriber to returning to complete the order. 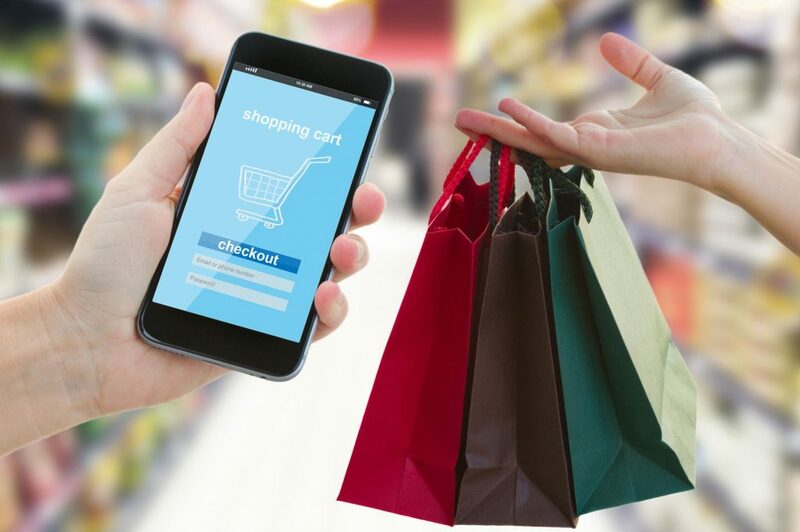 Introducing these campaigns to your marketing strategy will enable brands to reduce shopping cart abandonment and help drive revenue. How many of these factors feature on your site and are a contributing factor to your abandoned baskets? Offering free delivery? But only for qualifying orders? Again, let the customer know beforehand. Additionally, are your shipping cost out of the norm? For example, if you are shipping a book, that the customer is expecting to be shipped for a couple of pounds/euros/dollars etc. and your site are changing double that, you may find that is a major issue for your customers and they will abandon their online basket. Don’t take this for granted. How many steps need to be completed in order to complete the checkout? How obvious is it for the customer to complete the correct area’s? What security measures are in place to make sure that the customer feels safe and is protected? How long does your checkout process take, compared to other competitors? To make the users experience perfect you will need to make sure that you tackle any issues that you have within the checkout process. Discover the common reasons to online shopping cart abandonment on your site and look at how you can tackle them head-on. After you have tackled the main reasons as to why your customers abandoning their baskets, you will still find that customer are still abandoning! Don’t panic, you will not be able to completely stop this from occurring, which is why a basket recovery programme is vital! Intelligent Email marketing Campaigns can enable online brands to re-engage their user and drive purchase completion. 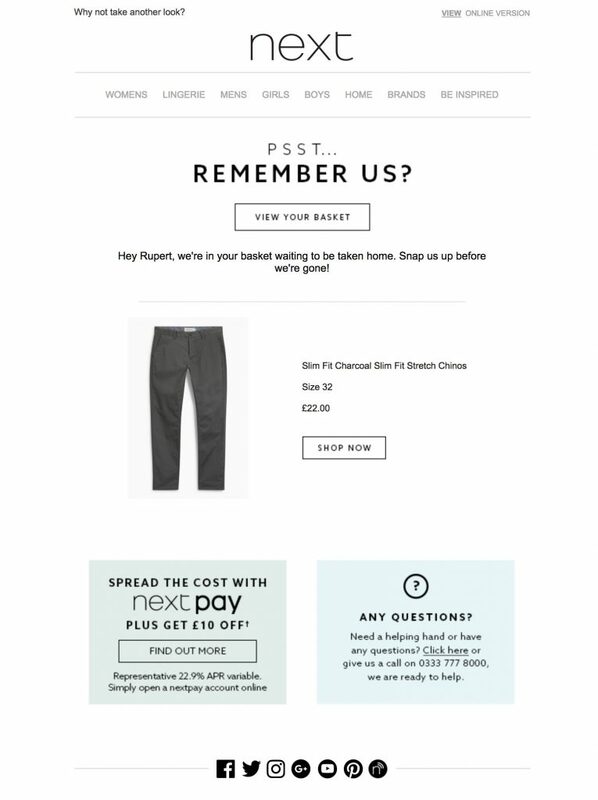 Email is a big player in the cart abandonment recovery campaigns. Email allows you to send a basket recovery email to your subscriber directly into their inbox at the point of abandonment. The email can be behaviourally targeted to each subscriber individually, containing the details of their abandoned basket and recommendations of alternative products that they might also be interested in. The recovery email can also direct the subscriber back to the abandoned basket so they can complete the checkout seamlessly. In order for you to use email to target abandoned shopping baskets, you need to know who the shopper is. This is one of the reasons why many sites will ask for registration before checkout can be completed. Xtremepush are experts in helping brands with basket recovery and re-engaging users across multiple channels. We have work with many companies, including James Villa Holidays and Hungryhouse to help them to drive revenue and increase with shopping cart abandonment recovery campaigns. This blog post was originally posted on Xtremepush.